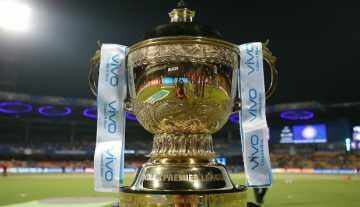 The Indian Premier League (IPL) has always been known for its glitz and glamor. However, apart from that, even the quality of cricket is of the top class and with almost all the world-class players have been seen playing in the league, one gets to enjoy some of the best games of the T20 cricket. Apart from the cricketers, the amazing cheerleaders and beautiful presenters encircle the glamour part of the T20 league. Previously, Extraa innings was a show which was the part of IPL. This show used to feature many models and actresses accompany the cricket stars to preview and review the matches of the tournament. One such presenter is Karishma Kotak, who was also part of the IPL 2013 season, presented Extraaa Innings T20, a post-match analysis. The show also featured Rochelle Maria Rao, Samir Kochhar, and Gaurav Kapoor as her co-hosts. England based model and actress Karishma Kotak is a well-known face for the Indian audience. She has a long list of TV shows that she has hosted and movies she has worked in. Her filmography includes movies both in Bollywood and in Telugu and Malayalam film industries and even a movie in Punjab. She was one of the best contestants the TV reality show Bigg Boss, on which she participated in the sixth season in 2012. IPL 2019: Lasith Malinga To Leave Mumbai Indians?